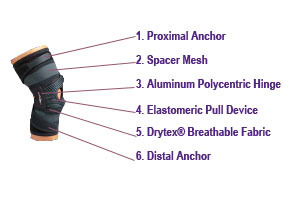 The patented Tru-Pull Advanced System are designed to place a dynamic pull on the patella during knee extension to normalize tracking in the intracondylar groove and reduce anterior pain. An ideal solution for a person who needs ultimate support for patellofemoral malalignment, subluxation and dislocations. 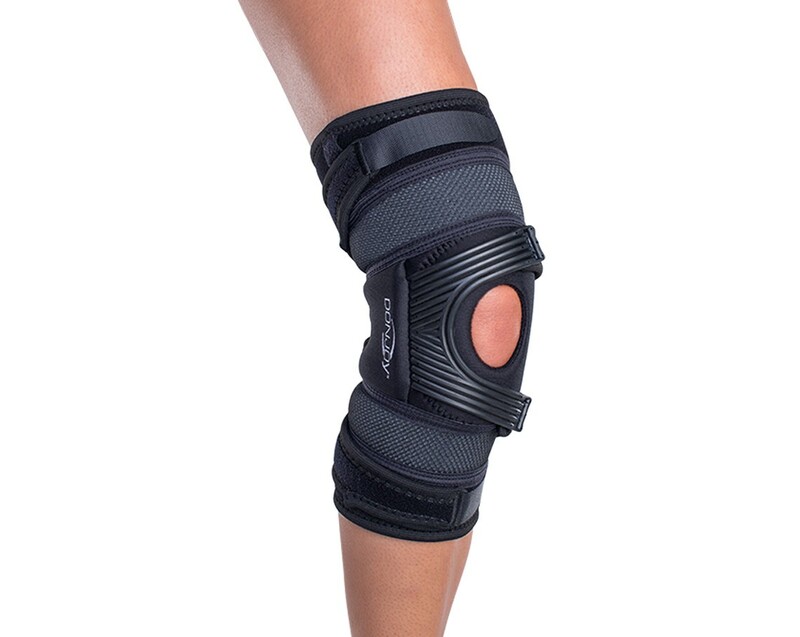 Available with aluminum hinges for additional medial/lateral support and control of knee hyperextension. Take the measurement of your thigh and calf 15cm or 6" above and below your kneecap using a flexible type tape measure. Use the diameter you measure here to choose your size.